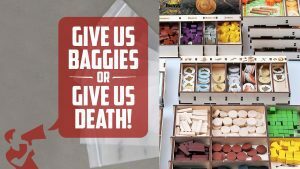 The Board Game Soapbox: Give Us Baggies or Give Us Death! In today's Board Game Soapbox Logan laments the lack of great in-box organization for most board games. Is he right...or raving?